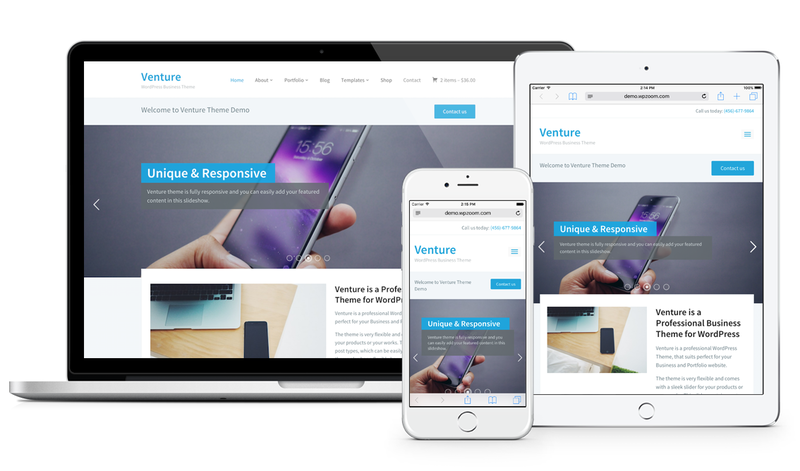 Venture boasts a fluid, responsive layout, so your website will display perfectly across mobile devices. Images and galleries scale up and down seamlessly when resizing the browser window. No matter what the resolution or screen size, every detail will look perfect and professional. 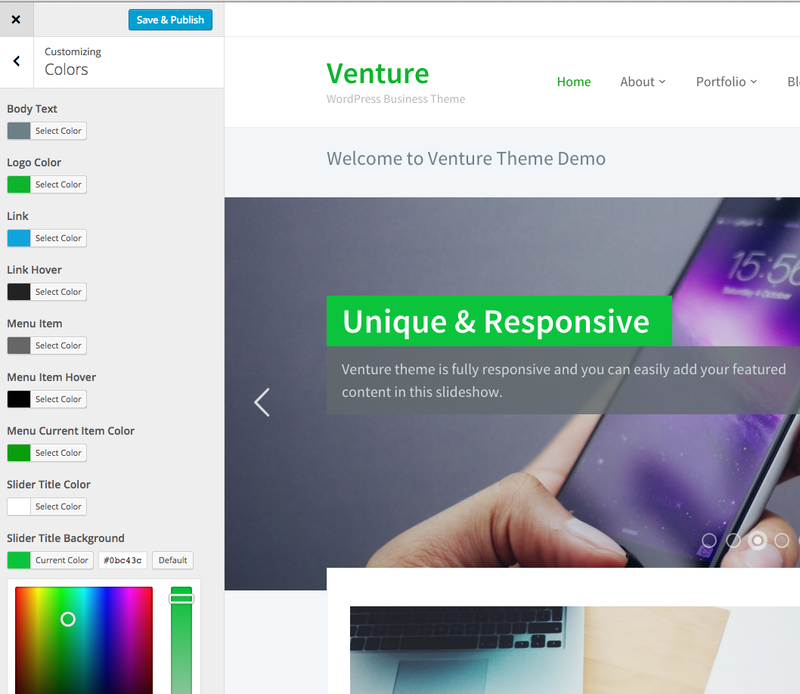 Venture’s homepage features multiple widgetized areas, allowing you to customize the theme in any way you want. Add as many widgets as you want and configure them individually. The Live Customizer makes it easy and fun to create and organize the homepage layout as you want it. Get a live preview of how your homepage will look, as you’re building it. 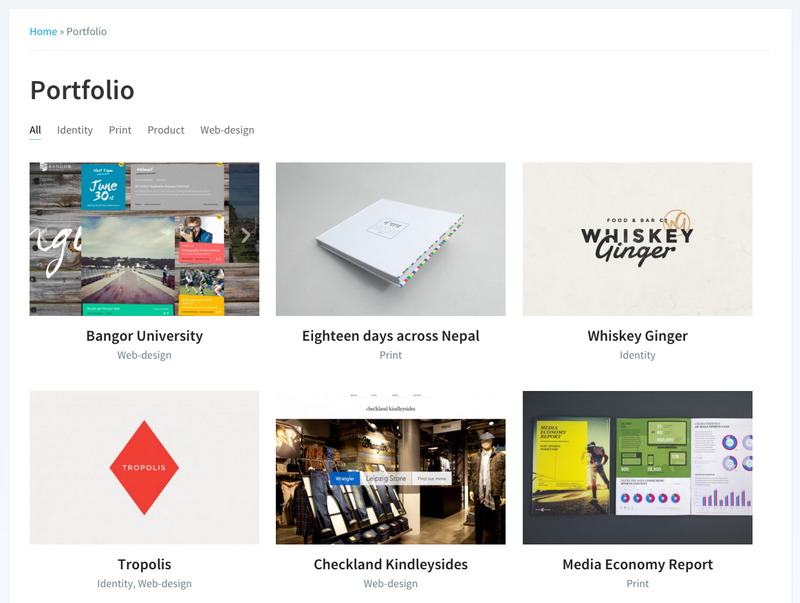 The built-in portfolio module is a great way to show off your work, photos – anything else. Each porfolio item entry features a simple and elegant design in which you can insert anything you want: images, video, text, slideshows and much more. Create your own business directory, list team members and more with the sub-pages widget. Use the widget on your homepage to display subpages from a specific page, creating a great look and feel. Display your customers’ glowing comments about your business on your homepage. Testimonials integration allows you to display a beautiful slider on the homepage, showing a specific number of testimonials. 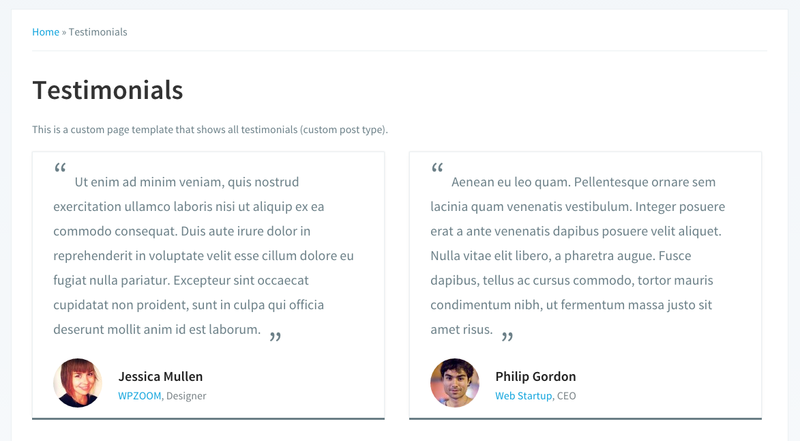 You can also create a separate page showing all your testimonials. View it live here. Selling through your website? 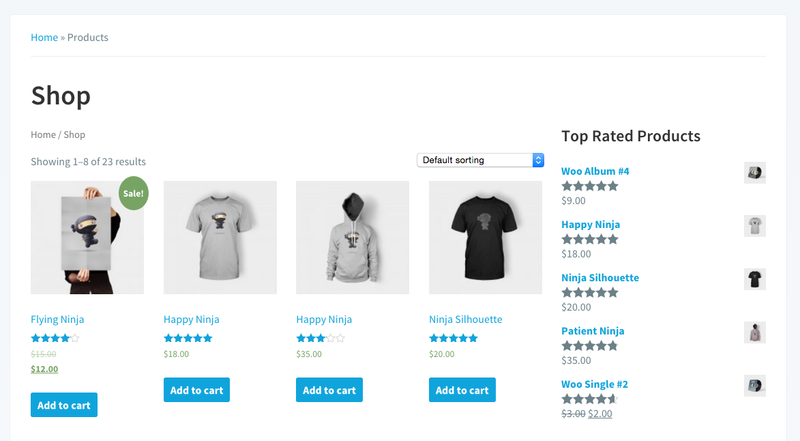 Venture is fully compatible with the popular free eCommerce plugin WooCommerce. Build your own shop and start selling easily. See the demo here.